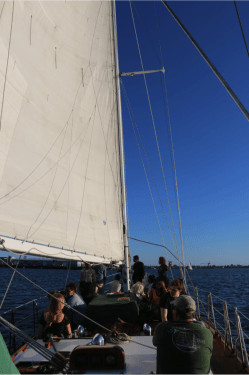 I went aboard the JADA this last Monday for a sailboat charter just before sunset. 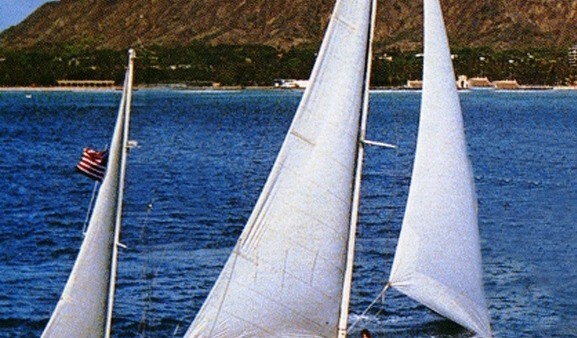 Knowing that the JADA was the only classic all-wooden yacht available for charter in San Diego, I envisioned being taken back to how it would’ve been to sail on a sailboat in the 1940’s. For being over 70 years old, JADA was in great shape. The crew were all nice and the captain was very informative on the San Diego bay and its history. The JADA has to be one of the best private yacht charters around. I highly recommend trying this! And the best part of all is that you don’t have to do anything on the JADA but eat and drink! All kinds of snacks and beverages are brought to you by the crew so you can just sit back and enjoy the ride. If you like to be catered to this is definitely the right place. The JADA has to be one of the best private yacht charters around. I highly recommend JADA for anyone who is wishing to sail San Diego. The view of San Diego aboard the JADA is unreal.